Wednesday, March 30th was a very special time on Booth 61 with Ricky Steele. James Franklin, CEO of TechBridge, Bryson Koehler, EVP and CIO of The Weather Company, Jim Reese, CEO of the Atlanta Mission and Beth Smith, Director at Corus 360 LIT up the studio. I could add 25 paragraphs of copy and not do this show justice. Highlights are that in 2016, TechBridge will improve the lives of over 50 MILLION people through the not for profit organizations TechBridge serves including the amazing work being done by Jim Reese and the Atlanta Mission. The 2016 Digital Ball will be held on May 7th at the Marriott Marquis. Every major CIO in this city will be in attendance. Very limited tables and sponsorships are still available. 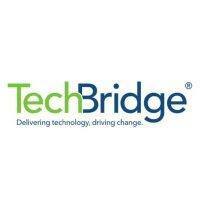 Visit www.techbridge.org asap if you want to experience the night of you business lifetime. Booth 61 will be Broadcasting Live from the Digital Ball. This is the first show sponsored by my new company, Steele Technology Partners. At Steele Technology Partners we are passionate about our clients, our candidates, our community and each another just as we are on Booth 61 with Ricky Steele.